Colorado Simmental adult and youth members elected leadership during their respective annual meetings. 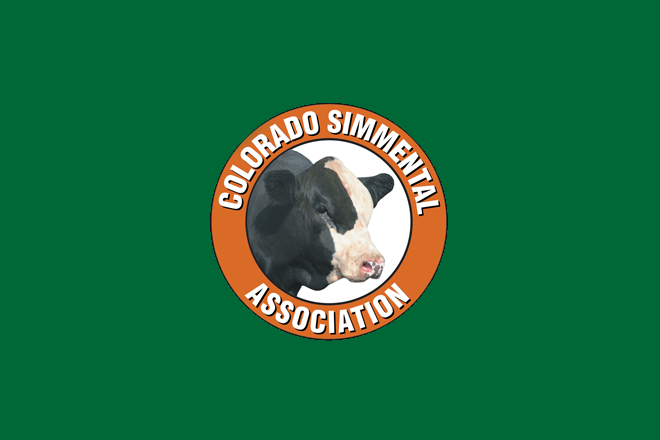 Charles "Mick" Mickeljohn of Collbran was elected and Jay Hill of Sterling, and Mitchell Jergensen of Ramah, were re-elected to the Colorado Simmental board of directors during the association's annual meeting on Friday night, June 8. Rounding out the board are Vicky Ahlberg of Longmont, Willie Altenburg of Fort Collins, Russ Princ of Fort Collins and Beth Temple of Center, according to Susan Russell, secretary/treasurer from Sugar City. Reflected R Ranch's Curt Russell grilled for the group prior to elections, reports and the year's highlights. The board formally recognized and thanked Duke Duzik of Craig, who was term limited. Duzik earned the traditional engraved cowbell as he retired from Colorado Simmental Association board service. 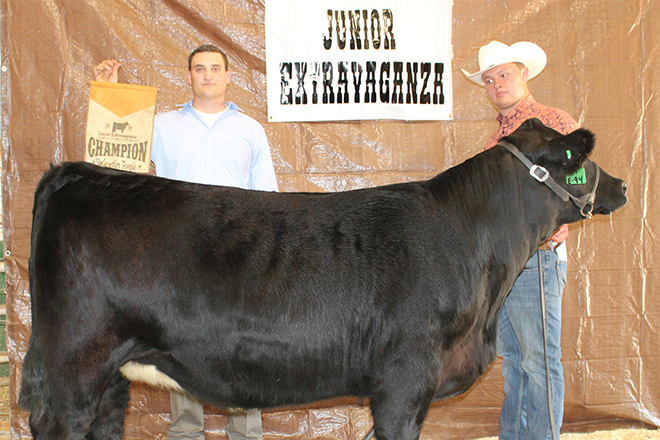 Colorado Simmental Association Junior President Bryce Hill with his overall champion female. Courtesy Colorado Simmental. During the youth's annual meeting on June 9 following the Junior Extravaganza, Bryce Hill of Sterling was re-elected Colorado Junior Simmental president. McKellen Rains of Oakley, Kansas, was elected vice president; and Ellie Woodward of Bailey, was re-elected secretary. Several CJSA members were a part of the Junior Extravaganza, a new joint field day held in conjunction with the Rocky Mountain Junior Shorthorn Association.